Alongside our homemade food and delicious drinks we also offer used books to browse, borrow and buy. From popular fiction and reference to children’s stories and cookbooks we’re sure you’ll find something you like among the shelves. Feel free to pick up a book or a few to browse while you’re in the cafe. If you see something you like and want to borrow a book you can join our Little Book Cafe Club. Simply complete your contact details on the form provided and you can borrow the book for a month. We’ll even email you to remind you when it’s due back. And of course, you’re welcome to buy any books you like the look of. 50% of proceeds from all book sales go to charity. We'll always offer a book a home. If you have any books in good condition which you would like to donate to the Little Book Cafe please bring them along. 50% of all proceeds from book sales are donated to charity. 50% of all proceeds from book sales go to charity. We are currently raising money for The Ramsey Academy Library and Learning Centre Refurbishment. The Ramsey Academy is in Halstead. The ambitious project to refurbish the existing library into a modern, vibrant library and learning centre to motivate and enthuse the students is an important development to ensure the development of literacy remain at the heart of the curriculum. 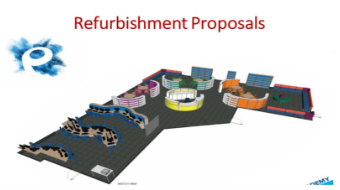 Find out more about The Ramsey Academy Library and Learning Centre Refurbishment. ​We change the charity we support regularly and since we opened the Café we have donated over £1,300 to various charities and local causes.